Modo Yoga selects Second Harvest as their Karma Charity of the month! Modo Yoga partners with a variety of organizations throughout the year - both local and international. One way in which they support their community is to highlight a different charity each month. Modo Yoga partners with a variety of organizations throughout the year - both local and international. One way in which they support their community is to highlight a different charity each month. During the month of October, Modo Yoga will raise funds through their Karma classes (every Friday night 7:30-8:30pm - suggested donation $5) - student cancelation charges ($20) and student donations. 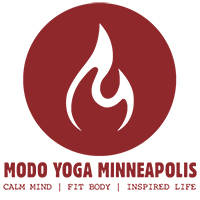 Modo Yoga staff and students will also be volunteering at the Second Harvest Brooklyn Park facility in early November.